Mike was also kind enough to interview me in return. I'm very excited to be interviewing Mike Berry today, author of the creepy-cool sci-fi Xenoform. Not only does Mike have a spectacular imagination, as you'll discover once Xenoform takes hold of you, he also has a great sense of humor, and has been a delight to interview. On his website, for example, there's a little box that reads: "Don't click this button." Yeah, I pushed it. I bet you do too. D.H. Please tell us three things about yourself that have nothing to do with reading or writing. Mike: One: I love music. My most recent band was called Blossoming Psychosis. Two: I can put an edge on an axe with a piece of sandstone. Three: I do not, as yet, have any cybernetic or biological bodymods. Four: I sometimes talk too much. D.H.: How is Xenoform different from the average science fiction or dystopian novel? Mike: I think Xenoform takes place in an unusually believable world, with clear parallels to our own. I don’t find that real people always fall into either ‘good’ or ‘bad’ categories, and I have tried to model my main characters realistically: They are capable of both ‘good’ and ‘bad’ acts. I think most of the tech, which I have tried to extrapolate from today’s technology, is also quite believable. And then against this feasible backdrop a very strange set of events is played out. The story also contains a unique blend of urban language, drugs, clubs, music, technology-crime and colourful, dangerous street-people. 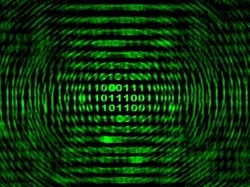 Some parts, written from the perspective of the artificial intelligence, are coded in binary. It is not necessary to decode these to understand the story, but a surprising number of people seem to be doing just that! D.H.: Computers and technology are central to Xenoform’s story. Do you have a strong technology background, or did this require a lot of research? Mike: I used to dabble in recreational hacking – not a pastime I’d really condone these days – and certainly I have used elements of that experience in my book. But I was never anywhere near the skill level of Debian, the professional hacker of technology companies in Xenoform! I mainly just used off the-shelf programs. I think many people would be surprised at how easy it is. I’ve given my real-life knowledge a little spin, and hopefully created what stands as a feasible near-future technology system. 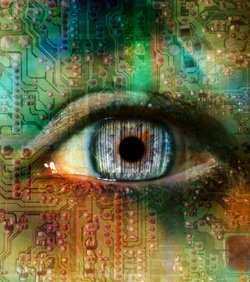 Much of the tech in the book you can actually see coming – it’s just around the temporal corner in the real world! D.H.: What is your favorite genre to read outside of science fiction, and do you bring any elements from that genre into your writing? Mike: Apart from sci-fi, I particularly like horror and fantasy. I think Xenoform definitely contains shadows of horror. It’s not overly-bloody, but there are certainly some darker nooks and crannies in the text. There are also elements of fantasy in there: I wanted some things to be inexplicable and fantastical. I think the tendency exists in sci-fi to explain and justify too much. I tried to retain a certain element of the bizarre. D.H.: Why did you decide to only publish in ebook format? Mike: Xenoform has really found its native format as an ebook. Because it deals with themes such as artificial intelligence, hacking, viruses and a heavily-computerised society, it seems only right that the book be read on some sort of screen. I’m considering releasing a hard-copy but am still undecided. In many ways I think it would take something away from the story. I guess if enough people ask for it, I’ll do it in the end! D.H.: And now for the fun one. I’m intrigued by Xenoform’s character, Debian. If he had a theme song, what would it be and why? D.H.: I really appreciate you coming by to tell us about this amazing book of yours, Mike. I wish you heaps of success with Xenoform, though if I don't know if I'll ever look at technology the same way again! City Six is a dark and brutal place, rife with crime and drugs. Gangs rule the streets of the Undercity and every private police corps is for sale. In this harsh environment an unprecedented threat is emerging. Whistler and her team of professional abductors start to see a new parasitic organ in the bodies of their victims. Debian, a young cyber-terrorist turned professional hacker, finds a terrifying computer virus in the databanks of an AI-research company. An unknown enemy is attacking the city, altering the populace into nightmarish creatures and decimating computer systems. It seems unstoppable. Can these unlikely heroes find a way to fight it? Or will City Six fall prey to an environmental and technological catastrophe on an unimaginable scale? 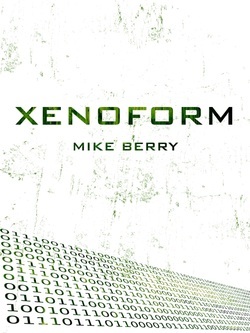 Mike Berry is a British indie sci-fi writer, who has just released his first ebook, Xenoform. He was born in the Midlands of England and now lives in Brighton with his partner and two children.